Three reasons I knew from the start that this wedding would be gorgeous. One, the pre wedding shoot was at the most stunning venue of all-Udaivilas Palace. Secondly, I love the bride’s swoon-worthy wedding lehenga by Sabyasachi. And lastly, this colourful Gujurati celebration was put together by some of my absolute favourite wedding makers, including photographer Ankita Asthana of Wedding Nama and hair and make up by Ojas Rajani. From a romantic pre- wedding shoot at Udaipur (where Viren proposed to Manisha!) to all the fun elements of their cocktail party at Kino’s Cottage to their elegant wedding at Sea Princess, we adore it all! The couple’s impeccable and unique style was impossible to miss and their choice of venues were perfect for them! I love Manisha’s flowy red gown at the cocktail (and oh! the sparkly silver shoes), followed by a jazzy pink and gold lehenga for her sangeet. For her wedding lehenga, Manisha opted for a modern take on the Gujurati panetar. Manisha looked beautiful in this traditional white and red lehenga with a colourful duppatta. TIP FOR GUJJU BRIDES: Isn’t this just the perfect way to add colour to your wedding look while still retaining the elegant white lehenga or saree– a stylish compromise between classic and statement looks?! This is such a happy wedding celebration that has been captured so beautifully by the talented team of WeddingNama. Hi Manisha. Thank you for sharing your stunning wedding with us. Please tell us something about yourself and your husband. Where did you meet for the first time? We would love to know more about your romantic love story. Viren and I met in Mumbai in 2011 through an introduction by a very dear friend of ours. When we met just clicked, we really got along and enjoyed being around eachother. We could talk for hours on end and we always knew at the back of our minds that this is the person I want to grow old with. It’s almost coming to a year since we got married and time has flown! Married life is lovely, its great to be in each others company everyday and for me, I have moved from the UK and my shift couldn’t have been easier. I didn’t have a wedding planner. Planning a wedding in another country is quite a task. As both of us are from overseas it was challenging to plan mostly because of the culture is very different in India in terms of planning. Thing like make up trials are not common in Mumbai, only some do trials. I found that decoration is not that important. The most important factor is the quality of the catering, its all about the food! decoration and seating arrangements come secondary to that. 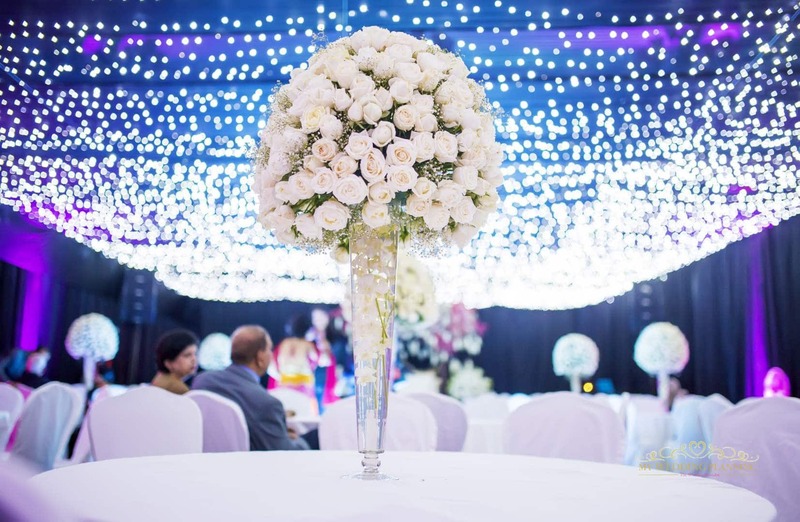 I was unable to keep track of everything so I would recommend anybody from overseas get a wedding planner for sure. How did you decide on your dream wedding lehenga? All I knew was that I wants something traditional but different at the same time and that is exactly what I found. I looked around in a few stores in Mumbai but couldn’t find anything that I really loved, finally I landed up in Sabyasachi. I knew if nowhere here i will surely find what I am looking for. I wanted white and red in my lehenga and that is exactly what I found. I was so happy when I saw it, I immediately knew this is the one. How about hair and make up? My hair and make up I left to my make up artist, I didnt decide on any looks. My make up artist knew which event was on which day and on the day he decided what look and hairstyle I should have on the spot. Personally for me I think our cocktail party was the most memorable. It was a small but personal affair involving our closest friends and family. It must have been fated. We came across many photographers but WeddingNama’s personal touch really helped us making our decision. It was definitely worth it, we were so excited with the final outcome and we feel the most important moments were captured. My experience with Ankita and the team was wonderful. Ankita knew exactly what was going through my mind at each step of my journey. I am sure with her experience she understands the emotions a girl goes through before her wedding. I remember the day of my wedding Ankita kept calming my nerves she could see I was going through all these mixed emotions so for me it helped having Ankita around. Ankita and Akash were with us for our pre wedding shoot which was a great way for them to get to know us before the wedding events commenced and this helped us to be comfortable around them and comfortable with having a camera following us at all times. By the time it came to our events it was as if they were not even there, it was great and that is why we have a good collection of candid photographs. The team were very friendly and it was easy to smile and pose 😀 I would certainly recommend a pre wedding shoot, we have such wonderful photos in a fabulous location which we wouldnt have got during the wedding. There is so much going on sometimes its difficult to get pictures as a couple but more importantly there is less stress for both of us at the pre wedding shoot so we can relax and take our time and we can take the same shot over and over again to get the perfect shot. A few things I would have done differently… Choose a location outside of Mumbai and avoid crazy traffic and extortionate prices. We think it sounds pretty perfect! And we’re beyond glad that Wedding Nama captured your day so beautifully so we could all be inspired by your wedding imagery! 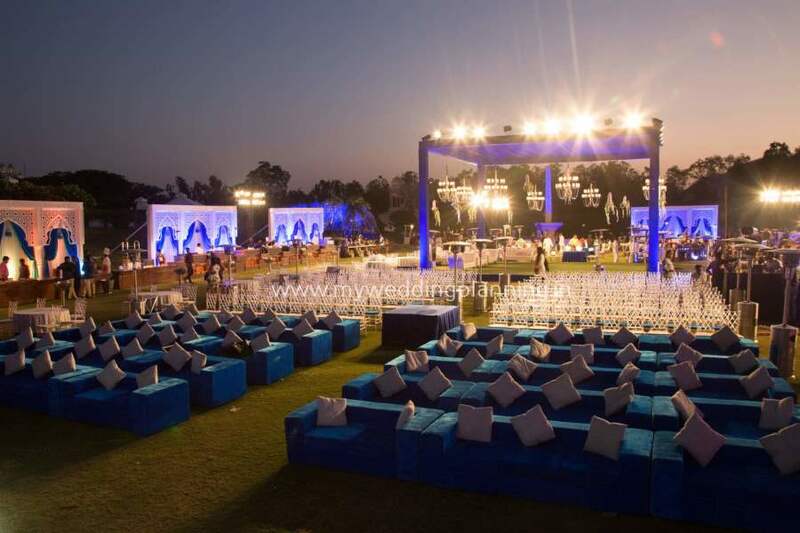 Wedding venue: Sea Princess Juhu, Novotel Juhu and Kino Cottage, Versova. PreviousPrevious post:Wedding Lookbook: The Best Indian and International Flowers for your WeddingNextNext post:An intimate destination wedding in Goa for these college sweethearts!